The Chief Judge of Lagos State, Justice Olufunmilayo Atilade, on August 17, 2017, ordered the release of 43 underage inmates from the Ikoyi Prison in the state. The action followed similar developments that occurred between August 1 and 14, 2017, in which Justice Atilade released a total number of 209 underage inmates from the Badagry and Kirikiri prisons in Lagos State. This reportedly followed a protest by the head of the legal team of the Fountain of Life Church, Mrs. Modupe Olubamowo, who had lamented the anguish of the underage inmates. It was also reported that 12 of the juveniles freed on August 17 were sent to the Adigbe Foster Home in Ogun State due to the severity of their crimes, which bordered on murder and armed robbery. Earlier in April last year, Justice Atilade was said to have freed 153 awaiting inmates of the Kirikiri Maximum and Medium prison. Three of the released inmates were said to have been in custody for over 15 years. It was reported that 24 of the inmates were released from the maximum prison, while the rest of the 129 inmates were released from the medium prison. Among the 129 inmates released from the medium prison, 79 were standing trial for capital offences, while 50 were standing trial for minor offences. Atilade reportedly said that the amnesty extended to the released inmates was part of her statutory duty to ensure the decongestion of prisons in the state. Earlier this year, the Chief Judge of Sokoto State, Justice Bello Abbas, granted pardon to 28 awaiting trail inmates in the Sokoto Central Prison. Justice Abass reportedly ordered their release after reviewing cases of awaiting trial inmates during his visit to the prison. He said the move was part of his efforts to ensure the suspects were not detained more than necessary and to decongest the prison. These are just few examples of pardon often granted to inmates by Chief Judges of states as part of their contribution to ongoing efforts to decongest prisons across the country. Although these actions have been going on for a while, just recently a Senior Advocate of Nigeria, Chief Sebastine Hon, called to question the powers of the Chief Judges to grant pardon to awaiting trial inmates. “The practice of Chief Judges, particularly of the states, granting pardon or amnesty to offenders has been going on for quite some time now, but I make bold to say that it is clearly unconstitutional,” Hon said. But Hon’s claim had not been left unchallenged. 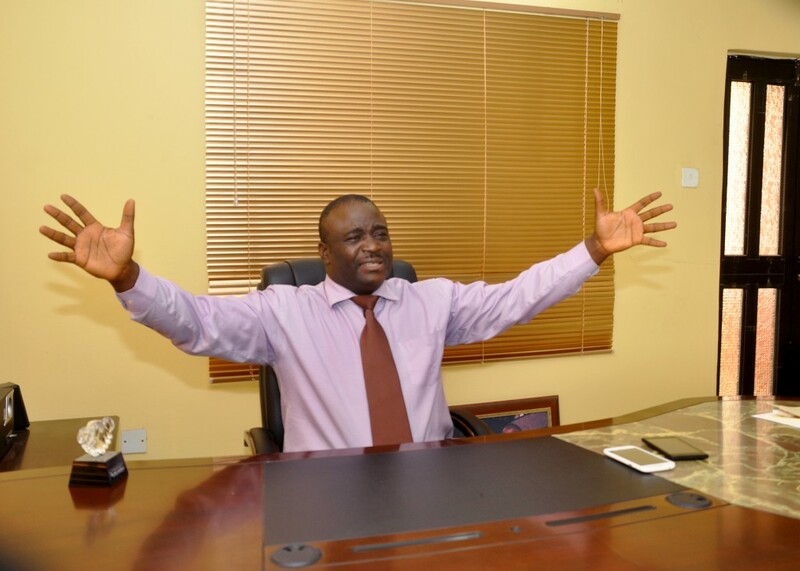 Another Senior Advocate of Nigeria, Mr. Femi Falana, had without any delay faulted Hon. Falana did not only maintain that the Chief Judges had the power to grant amnesty to prisoners; he urged the heads of the judiciary in the various states of the federation to “conduct prison visits, on a more regular basis, for the purpose of setting at liberty the thousands of prison inmates held in custody illegally including criminal suspects whose case files cannot be located by the various ministries of justice”. 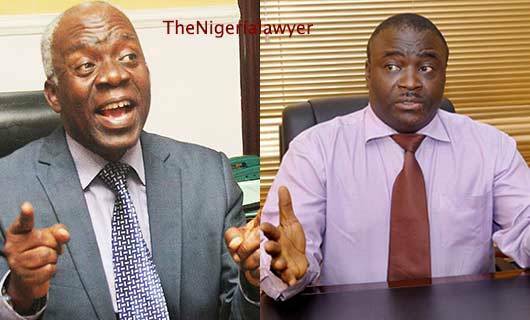 Both Hon and Falana had subsequently gone on, in a back-and-forth manner, to debate the issue. According to Hon, the Constitution had not given the Chief Judges, acting in their administrative capacities, a “pre-conviction authorisation for pardon or release from custody”. He argued that section 35(4) of the 1999 Constitution had stipulated that anybody accused of an offence should be arraigned in court within a reasonable time, adding that the same court could “make an order remanding such a person in prison and ordering his release from custody – either conditionally or unconditionally”. He also argued that the only authorities conferred with the “constitutional powers of pardon or amnesty” were the President, “after consultation with the Council of State (under section 175), and the Governor of a state, acting in consultation with an advisory Council of the State on prerogative of mercy, established by a law of such the State”. “While the President pardons those accused or convicted of Federal offences, the Governor of a State pardons those accused of State offences,” he added. Hon said that section 270(2)(a) of the Constitution merely established the office of a state Chief Judge with no specific functions assigned to it, insisting, therefore, that such Chief Judges could only perform functions assigned to them by their respective State High Court Laws and High Court Rules. He added that even if such state laws granted powers of pardon to the state Chief Judges, such laws, by virtue of the inconsistency rule in section 1(3) of the 1999 Constitution, was unconstitutional. He said such laws would be in conflict with sections 35(4), 175 and 212, respectively, of the 1999 Constitution, and were therefore null and void “to the extent of their inconsistency”. He said the good intention of the state Chief Judges, especially for the purposes of decongestion of the prisons, was not enough justification for the breaches of the relevant provisions of the Constitution. But Falana, in response, said that by virtue of section 11 of the Prisons Act Cap Laws of the Federation of Nigeria, 2004, the Chief Justice of Nigeria and the Chief Judges of the states were among prison visitors ex office “empowered to visit all prisons in Nigeria and Chief Judges are restricted to conduct prison visit in their areas of jurisdiction”. Hon later said that Falana was only embracing statues lower than the Constitution for refuge. The fulcrum of Hon’s argument was that the two laws that Falana relied on were both null and void. He described as shocking, the latter’s claim that since the Prisons Act, 2004 and the Criminal Justice (Release from Custody) (Special Provisions) Act fell under Item 8 of the Exclusive Legislative List of the Constitution, they were constitutional. “This is my first time of hearing this constitutional theory! Listing of legislative items under the Legislative Lists is only intended to draw the line, in a federal setup like ours, between what the Federal Government, on the one hand, and the federating states on the other hand, have competence to legislate on and it is not a licence to enact unconstitutional legislation,” he said. Hon broadened the scope of the argument further by recalling that Falana had recently stated that the provisions of the Economic and Financial Crimes Act, which made it mandatory that the Senate must confirm the appointment of the EFCC Chairman, were unconstitutional. He also maintained that section 35(4) of the 1999 Constitution had covered the field on what should be done to any person accused of an offence. Holding on to his argument that there was no room for any administrative action by the judiciary to release an inmate from prison, he said, “Only judicial actions can lead to the release of detained persons, hence any administrative action, apart from the one in sections 175 and 212 will be directly in conflict with the said section 35(4). Hon said the phrase concerned with an offence, used in the Constitution, had been so wide that it completely covered the situations contemplated by both the Prisons Act and the Criminal Justice (Release from Custody) (Special Provisions) Act. “The Constitution having covered the field, these two Acts are null and void, for attempting to provide for the same release from custody, yet by the administrative action of the Judiciary,” he said. Citing the decision of the Court of Appeal in Falae Vs Obasanjo (No. 2) (1999) 4 NWLR (Pt. 599) 476 at 495, he said 36(10) of the Constitution could only be handy in erasing the conviction or even accusation when President or the governor of a state granted a pardon to persons in custody. The Senior Advocate also argued that such powers to grant an amnesty, including the power of the Attorneys-General to enter nolle prosequi (withdrawal of charges) were deliberately left by the framers of the Constitution in the hands of politicians and not conferred on judicial officers, through administrative means, “to avoid the sacredness of the judiciary being muddied or messed up with”. Not relenting, Falana again fired back, describing Hon’s consistent questioning of the constitutional validity of the administrative power of Chief Judges “to order the release of under trial prisoners languishing in dehumanising conditions in Nigerian prisons” as speculative. He said the debate over the issue was needless, but went on to argue that Hon in his “curious rejoinder” did not pay any attention to the laws while insisting “that his shaky submission on the matter was unassailable”. Falana noted that the Chief Judges had not usurped the powers of the President and the governors to pardon prisoners. The released prisoners, he argued, were not pardoned but merely released from illegal prison custody. He also argued that it was not in dispute that the President and state governors had constitutional powers to grant pardon to convicts and criminal suspects, he cited the case of Edwin Iloegbunam & Ors v. Richard Iloegbunam & Ors (2001) 47 WRN 72 “wherein the Court of Appeal had upheld the constitutional validity of the Criminal Justice (Release from Custody) (Special Provisions) Act”. He noted that the heads of court in other jurisdictions in common law countries were applying similar laws to decongest prisons by releasing indigent prison inmates from prison custody during prison visits. Stating that the Indian court pointed out that the order did not apply to prisoners under trial and whose offences attracted death penalty, he said the judgment was a progressive one in view of the fact that “not less that 66 percent of inmates were awaiting trial” in the various courts across the country. Falana said, “The progressive verdict of the Supreme Court of India has reverberated throughout common law countries and has strengthened the campaign for prison decongestion. He said that, apart from the decision of the Court of Appeal in the case of Iloegbunam v Iloegbunam, the Administration of Criminal Justice Act, 2015 also “imposed a duty” on Chief Judges to appoint high court judges and magistrates to visit detention centres once a month, so that “the indigent under trial prisoners are not detained without legal justification”. So far, the last salvo has come from Hon, who insisted that Falana was wrong on his continued positing that the Chief Justice of Nigeria and the respective Chief Judges had the constitutional power to embark on prison amnesties. Faulting Falana further, he said, section 1(1) of the Criminal Justice (Release from Custody) (Special Provisions) Act, which Falana relied on “requires either the Chief Justice or a Chief Judge issuing an ‘order’ for the release and not such authority embarking upon a prison visit to physically undertake that exercise”. But he said an ‘order’ in law could only be issued following the judicial proceedings as opposed to the administrative process. He added that section 1(1) of that Act was unconstitutional on the grounds that the Chief Justice of Nigeria could not sitting alone, to constitute the judicial quorum of the Supreme Court of Nigeria and dish out such “orders”.